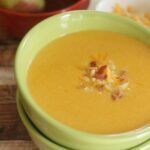 Apple & Cheese Soup - Frugal Mom Eh! Kraft is a brand that I grew up with, and I suspect many of you did too. Kraft is a trusted brand and I love that rather than just sticking with the tried and true, they are always coming up with fresh new ideas to make meals even better and easier. The latest addition to the Kraft product line has Kraft blending their Kraft Shredded Cheese with a Touch of Philadelphia, delivering an even softer and creamier melt to make old and new favourite meals even better! They aren’t joking around when they say that “The melt is all you’ll remember”! Kraft Shredded Cheese with a Touch of Philadelphia is available in three delicious flavours: Creamy Mozza, Creamy Herb & Garlic, and Creamy Mexicana. 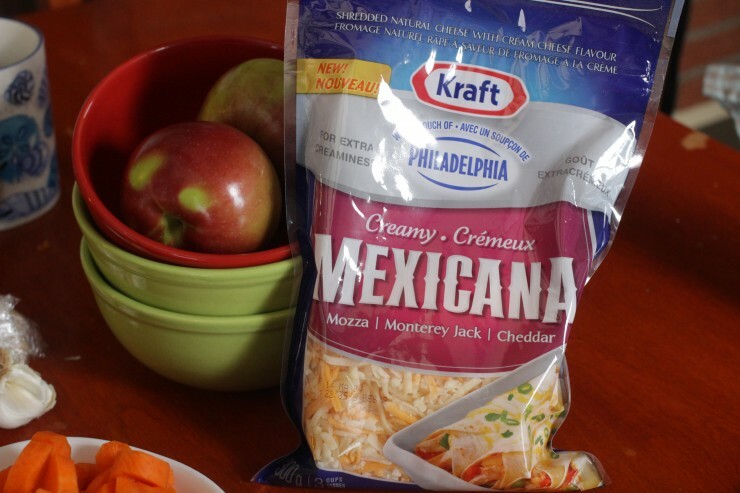 As soon as I heard about these new cheese blends I new right away that the Creamy Mexicana would bring my Apple & Cheese soup to a whole new level of creamy goodness. I love cooking with Kraft Shredded Cheese because of how convenient it is to cook with, especially when you need a whole lot of shredded cheese and very little time to sit around shredding it yourself. Using Kraft Shredded Cheese with a Touch of Philadelphia, I got all the convenience and cheesy flavour but with even better, creamier results! My family already loved my Apple & Cheese soup, but they noticed right away that it seemed just a bit creamier than normal. My sister was over watching the babies while I did housework and made the soup so there was one more person that usual over. We finished off the entire pot of soup for dinner which is almost unheard of around here! Kraft Canada is hosting the What’s Cooking Twitter Party on Wednesday, April 16 at 9:00pm- And You’re Invited! @KraftCanada is hosting and you can follow the hashtag #TouchofPhillyCheese! Melt butter over medium heat in a large saucepan. 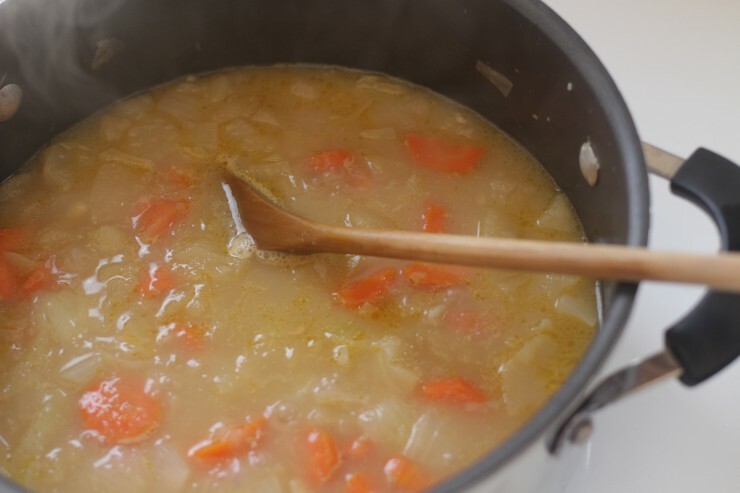 Saute the apples, carrots, onions, garlic, and ginger for 5 to 7 minutes – until onion begins to soften. Add broth and apple cider and bring to a boil, then reduce heat and simmer partially covered for 15 to 20 until vegetables are soft. Using a food processor or blender, puree until smooth. Return mixture to the saucepan and add the milk, returning to just a boil over medium-high heat. Whisk in cheese until completely melted. Optional: Serve with crumbled bacon and more Kraft Shredded Cheese with a Touch of Philadelphia. Melt butter over medium heat in a large saucepan. 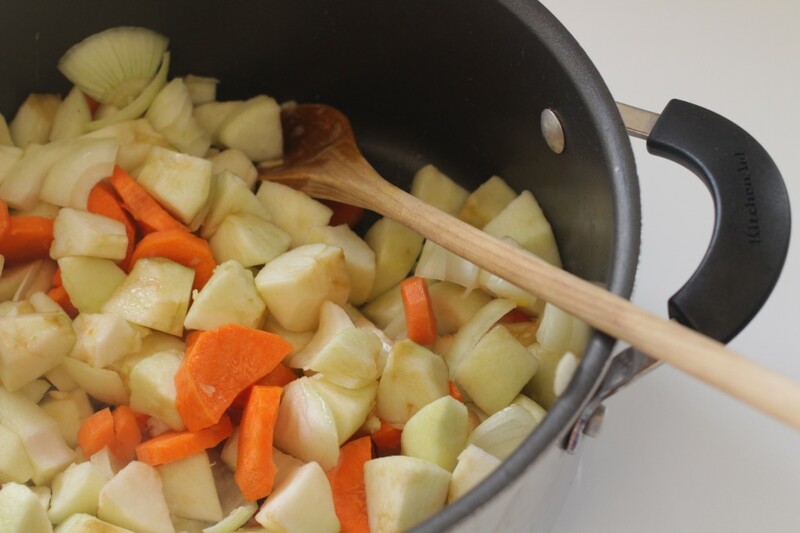 Saute the apples, carrots, onions, garlic, and ginger for 5 to 7 minutes - until onion begins to soften. Whisk in cheeses until completely melted. Visit the Kraft Canada website to see more yummy and scrumptious recipe ideas that include Kraft Shredded Cheese with a Touch of Philadelphia and the Melt you won’t forget! I’ve never understood apples and cheese together. Maybe for me it’s a texture thing. Looks good and sounds great tho! I’ve heard of grilled apple & cheese sandwiches, never soup. Kraft is the only brand we buy for so many thing, when they do come out with something new, we’re on it.. lol. Thanks for this recipe, all this apple & cheese talk happening I’m thinking I need to give it a whirl! I have never tasted Apple & Cheese soup, in fact I’ve never heard of it before but it does sound delicious so I might well give this a try. Thanks for the recipe. It looks real good but I keep asking myself what this would taste like with apples, I guess I will never know unless I try it. Now that soup sounds delicious! Wow, never had soup with fruit and veggies in it! This looks so good!! May have to try it!! I love cheddar and apple pie, so I can see this working. It’s worth a shot. Thanks for the recipe. Can’t wait to try this recipe. Thanks very much. I love apples and making an Apple and Cheese soup like this is really healthy and I bet it is so delicious. I will have to try to make this for my family. It is a good dish to have for Sunday Dinner. Thanks for sharing. Looks so yummy, I’d love to try this recipe!! I’ve never had anything like this soup. It’s an interesting combination, apple and cheese. 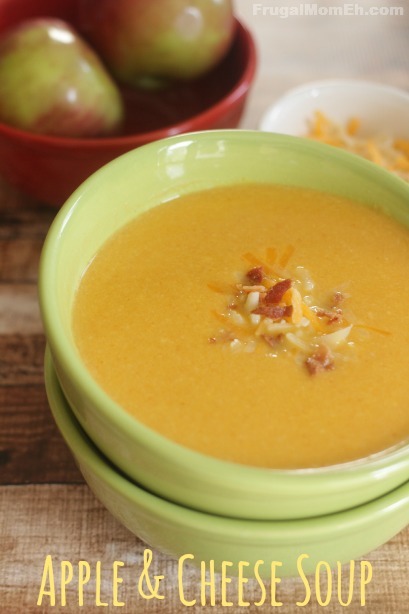 I’ve never been an apple and cheese person but this soup may convert me! Hi there..I’ve never tried apple and cheese soup I simply must try it week..thank you!! I’ve never heard of this type of soup before, but it looks tasty! 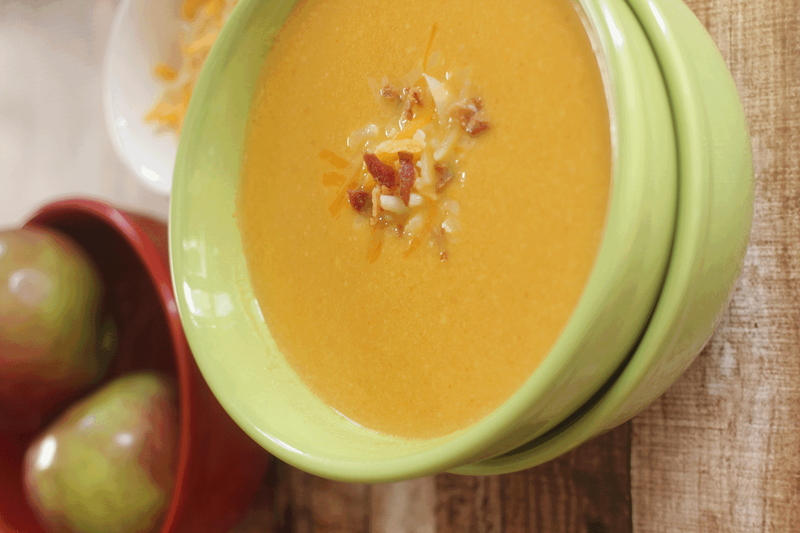 Your soup looks and sounds delicious…thanks for sharing. I’ve never had a cheese soup but it looks really great! I’ll have to try it! I love the combination for your soup, it looks delicious! Hope you are having a great weekend and thanks so much for sharing your awesome recipe with Full Plate Thursday. I use to have a bowl of soup ready for me every time I came home from school on a cold day. I have to try this soup sounds and looks so good .Such a great idea thanks!!! I love soups and this one looks and sounds so delicious. I have never put apples in a soup recipe before. Thank you for sharing. Thanks! I would never have thought of this combination! But it sounds delicious! Will def give it a go thanks! Tried this soup and it was very nice ! Now that fall is here I am looking for some great soup recipes. And this one is a keeper. Plus, I just came from the orchard with a ton of apples. I love the ease of this soup. Thanks for sharing. This sounds delicious! 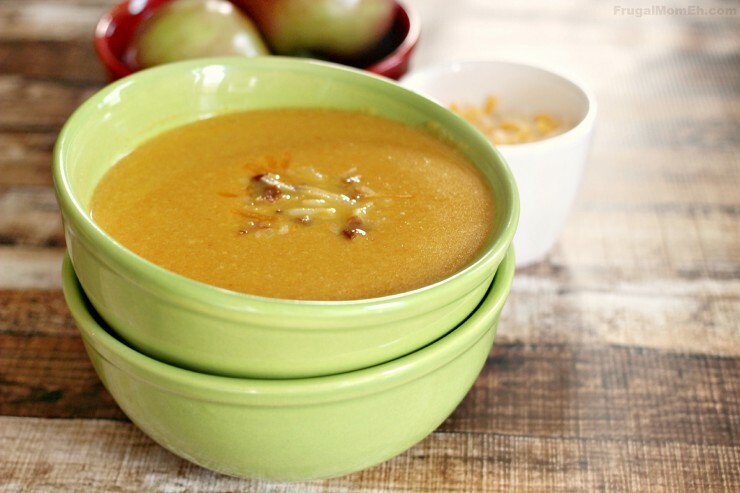 And it’s that time of year – apple recipes and soups! Thank you for sharing. Looking forward to trying the soup. Thanks! This is the meaning of epic deliciousness.This will probably become my favorite soup of all time.I am going to enjoy this very much!!!!! Thank you. This is a very interesting recipe, apple and cheese. It does look delicious and I’m sure it tastes delicious as well, I would love to try it. Thank you for sharing this recipe. I just love soup and this one looks so good! Great for the cooler weather coming soon. I’ve got to admit I’m not the biggest fan of cooked apples, but cheese makes everything better.